What’s so special about Sweetheart Seating? Besides having an intimate seat shared with the one you love, it’s normally also the best view in the house, when you’re not looking at one another. 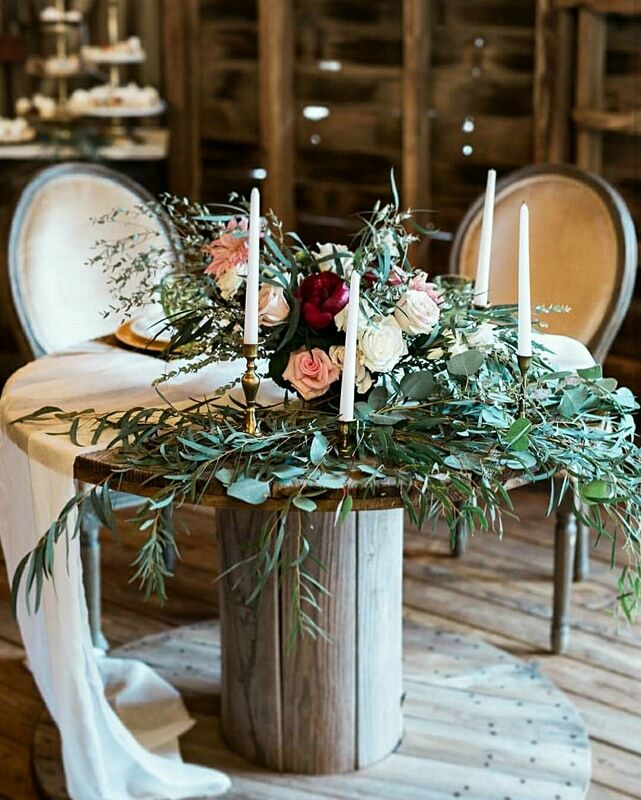 A sweetheart table can be over the top fabulous with touches of your design for your big day or something as simple as a beautifully designed space for a special dinner at home. We’re counting down a few of our faves. We not only love the Florence settee used as seating for this Borrowed Charm couple, but we love the exposed exquisite legs on our Vintage Winslow Table, overflowing with us lush greenery, big blooms from Yours Truly Floral Design and our brass candlesticks. It was the perfect fit under the pavilion at the Ranch of the Saints wedding venue. Not only is this purple based sweetheart table close to embracing the Pantone color of the year, but the twist on a traditional garland from Tony Foss Flowers takes it to the next level without breaking the bank. 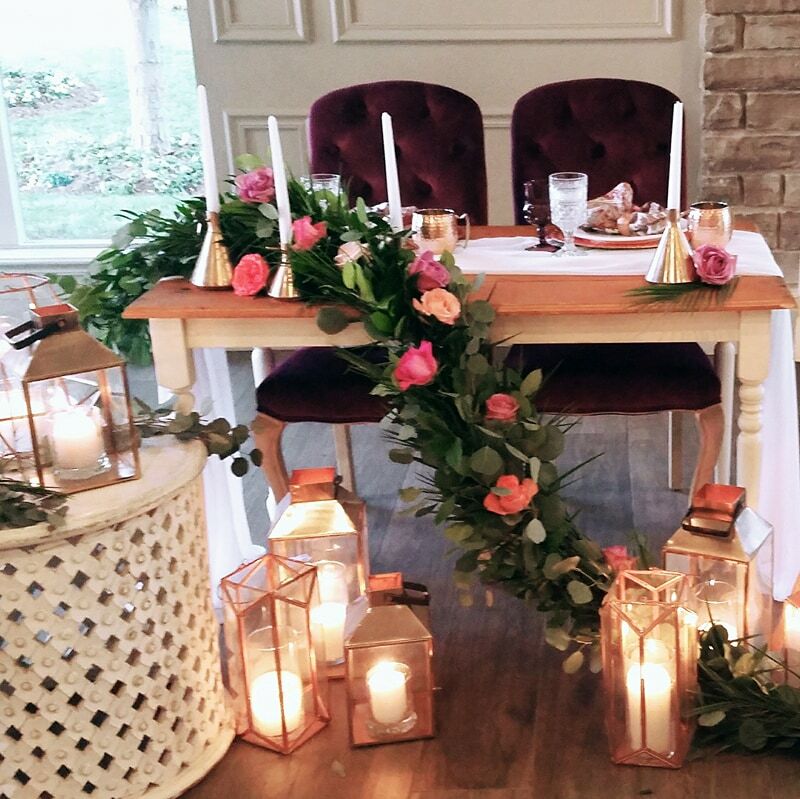 We love how our Copper lantern collection decorates the table from the floor up and how the candlelight will enhance the lighting in Coles Garden throughout the night. Our Kate & Pippa Royalty chair pair perfectly with our Heritage Mini Farmhouse Table. Nothing says WOWISA like a dramatic backdrop. 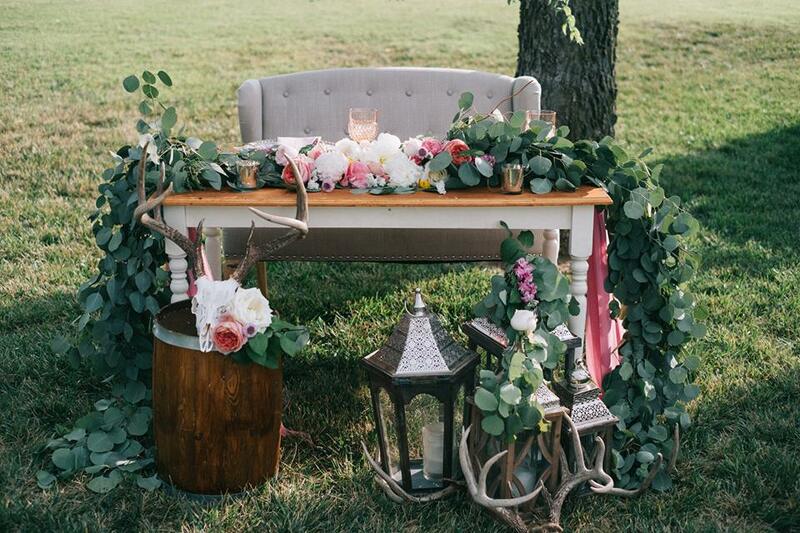 We love how sweetly this outdoor reception sweetheart table at the Barn at the Woods came together. The vintage teapot is a gift from the groom, and the draping make an elegant frame for the entire setting. Our plush velvet green chairs are the perfect pair with our 100 year old Oliver Table (or Elm) Table. Not only does this ground sweeping garland make our heart SWOON, but the touches of our couples love story are the perfect endearing touch. A real life Rustic Romance, the deer sheds are from some of the couples hunting trips, while the deer skull is from their future married home. 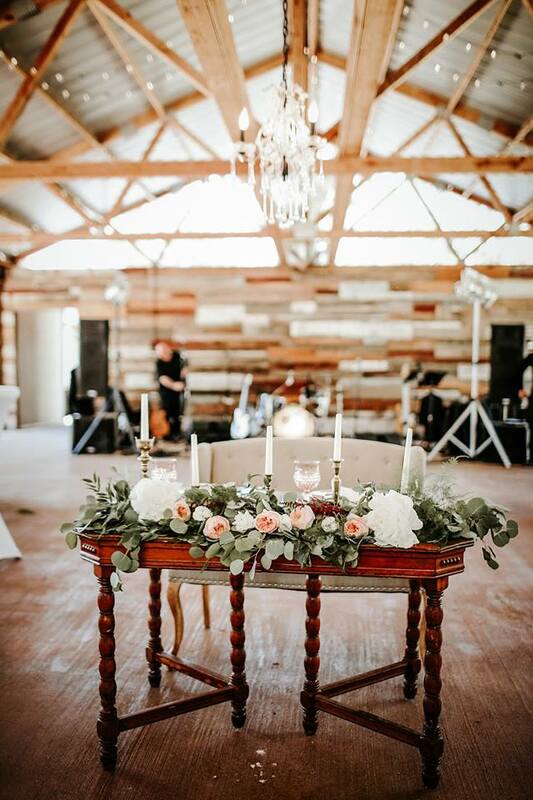 This Sweetheart Table at Darlington Chapel, surrounded by candles and blooms by Yours Truly Floral Design, this sweetheart tables romantic glow from our Tintop Lanterns, lasted well into the evening festivities. 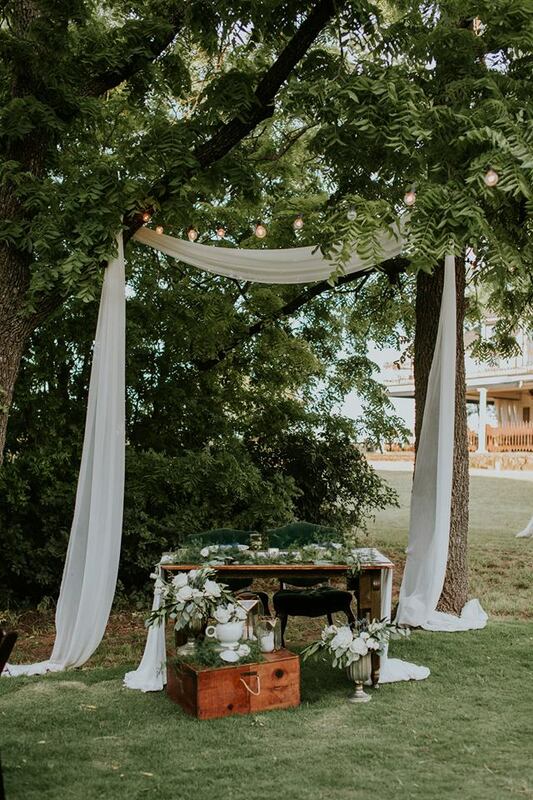 A different twist on rustic romance, we love our asymmetrical plan for this Sweetheart table with both the ivory drape and greenery! Our Alice & Olivia sweetheart seating is the perfect contrast to our Vintage Spool. Green vintage goblets, vintage china and gold chargers accent each place setting, while vintage brass candle sticks and simply ivory candles create height on the table. Why be a pigeon when you can be a peacock? This Borrowed Charm couple quite literally had the best seat in the house, right off the Manor at Coffee Creek dance floor in our killer Peacock chairs. They embraced color and weren’t afraid to pair with our beautiful copper accents, and the mixed metallic of our 747 table. 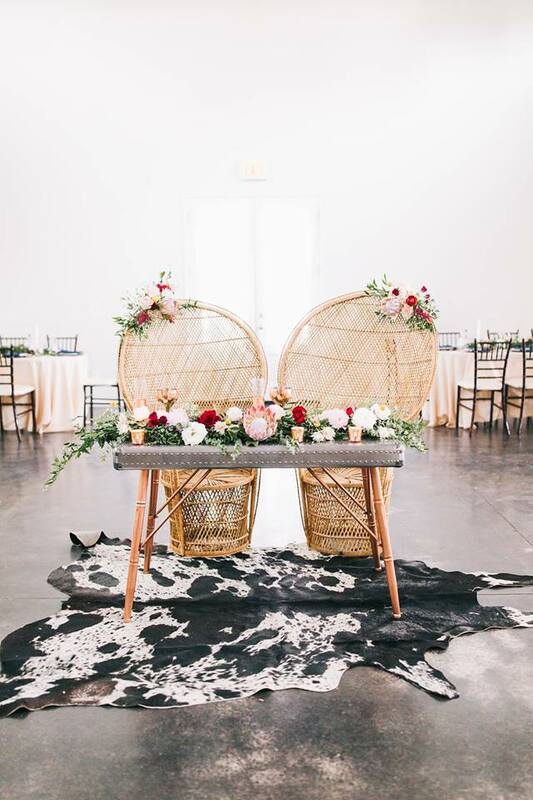 Our cowhide rug was a nod to their beautiful boho ceremony space. The dance floor was packed all night, and they had the perfect place to perch while they took a break to soak it all in! These are just a few of our favorite Sweetheart Tables, what details would be included in yours? Need help with your Sweetheart Table set up? Schedule an appointment to bring your vision to life!